Chauvet DJ Intimidator Scan 110 10W LED Scanner may be small, the moving beam power is mighty! 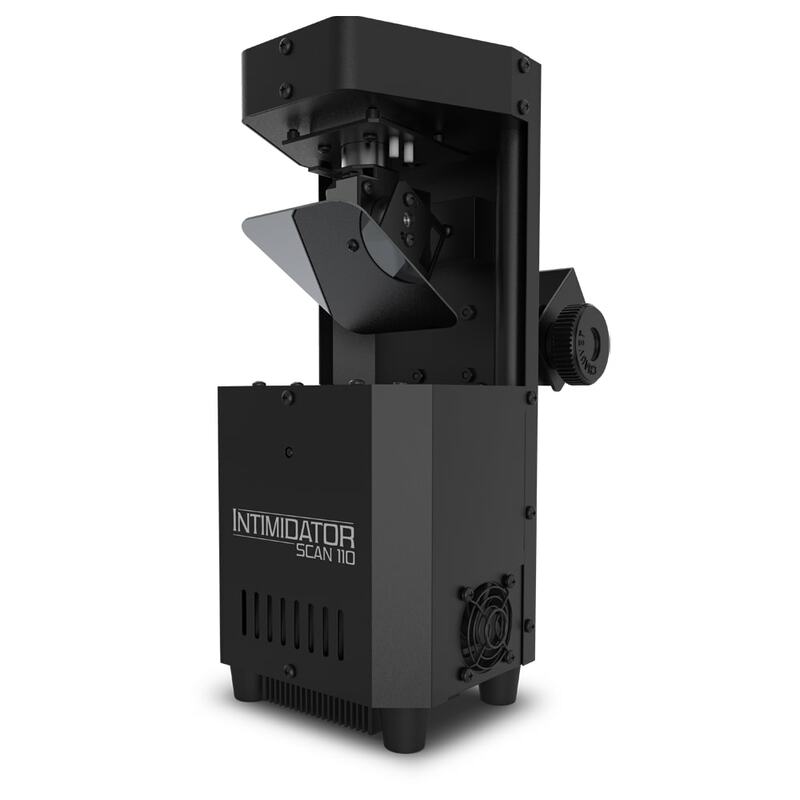 Intimidator Scan 110 is an extremely compact and lightweight LED scanner perfect for mobile entertainers looking to liven up their light show when performing in small nightclubs, bars, lounges, and more applications. 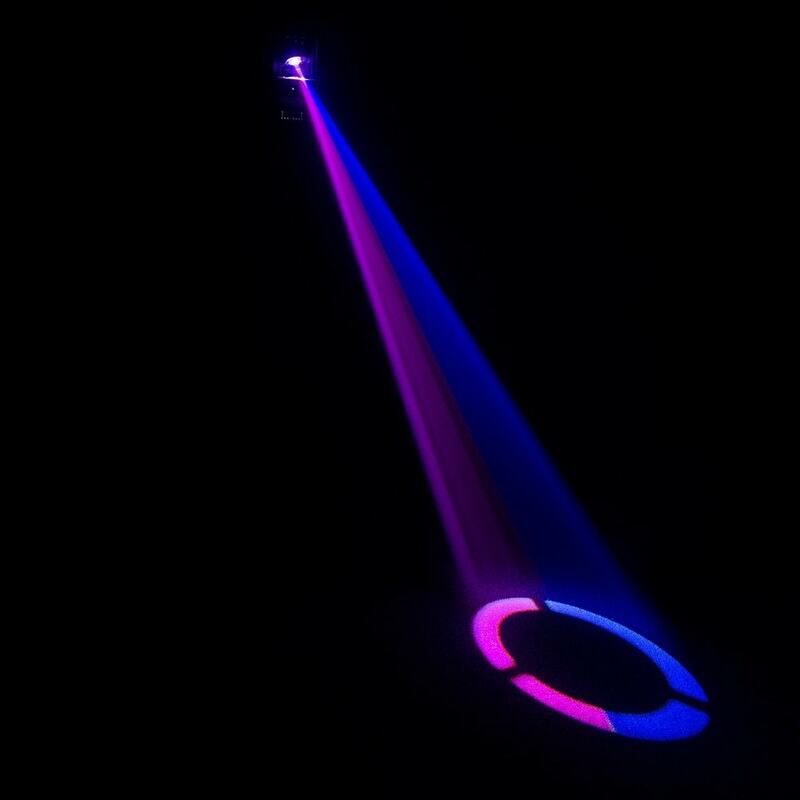 It features a 10W cool-white LED and a motor that provides tilt and pan mirror movement for shooting a choice of eight different colored gobo images or a white spot around a room, with a crisp 13° beam angle and fast and precise movements. 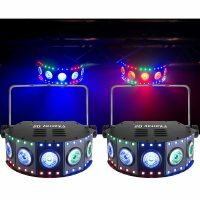 Energize any dance floor with fast and precise movements using either sound-activated programs that dance to the beat of the music or convenient, wireless non-DMX control using an optional IRC-6 remote. 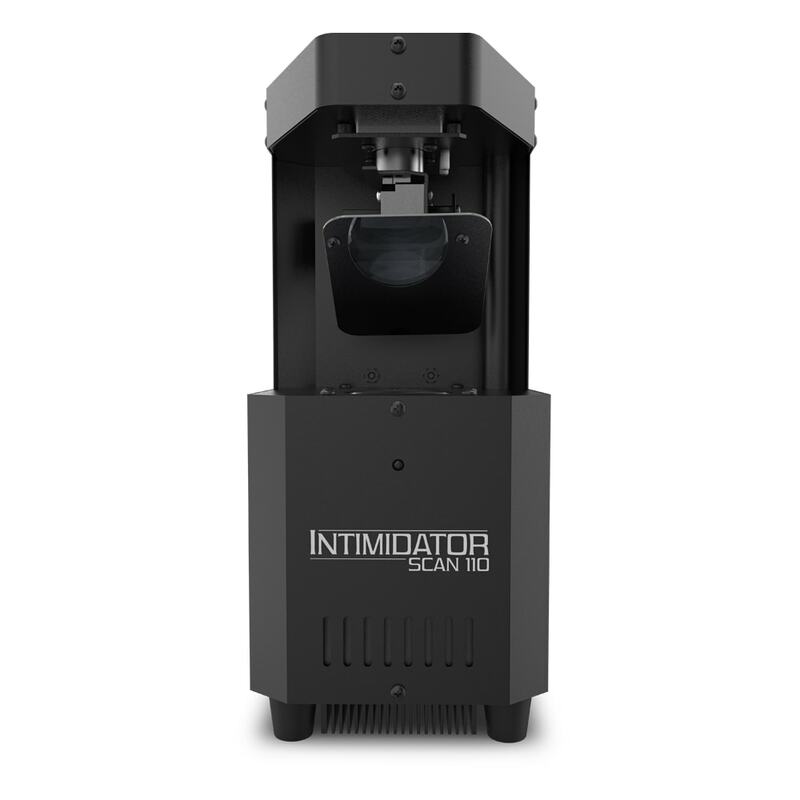 Intimidator Scan 100 is a time saver too! 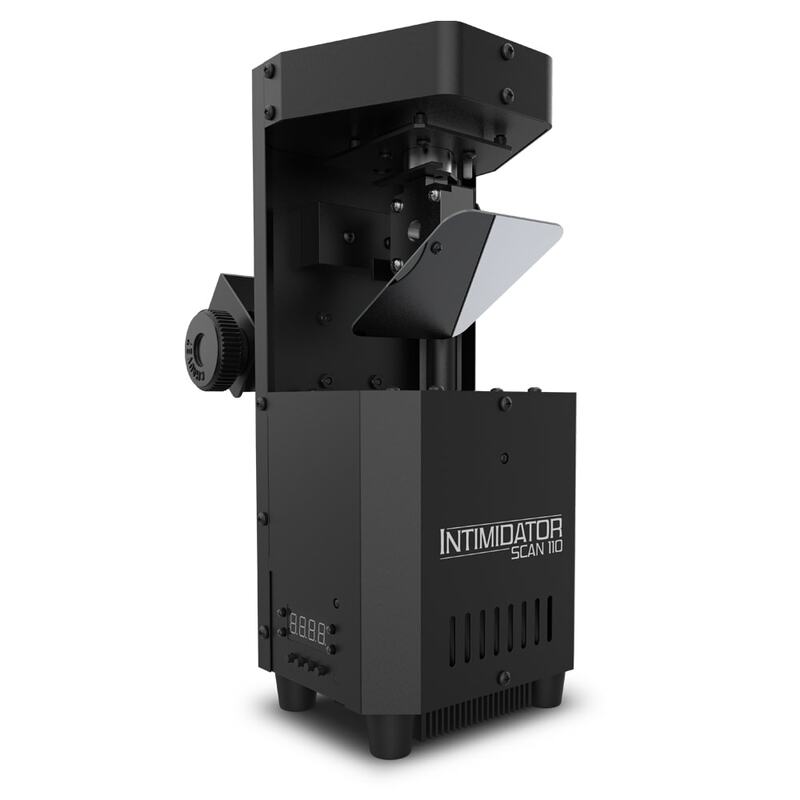 Easy to set up and program, the Intimidator Scan 110 can operate as a standalone unit in sound-active or auto modes with built-in movement macros, strobe, 0 to 100% dimming, and move-in-black features. 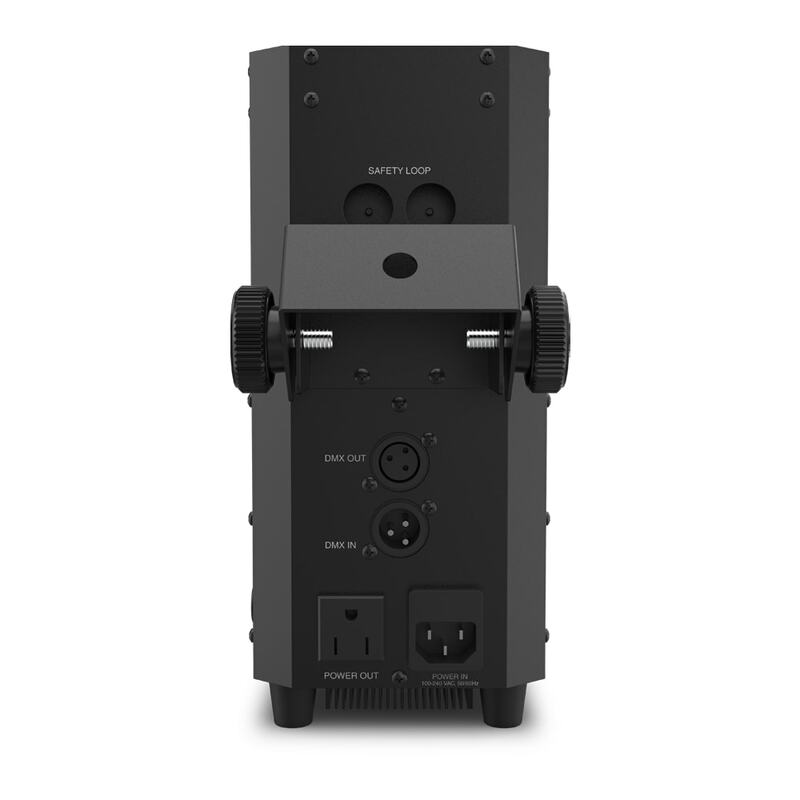 These features make programming fast and easy and you can save time running cables and extension cords by power linking multiple units as well. 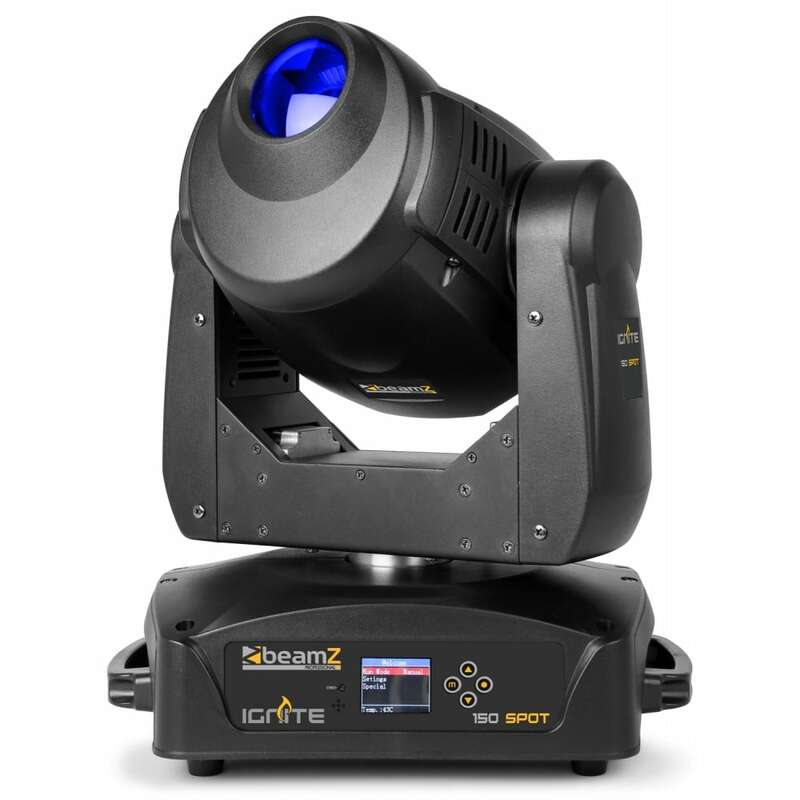 For more control, the unit is equipped with two DMX channel modes. 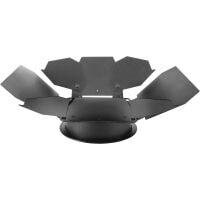 The master/slave option lets you coordinate multiple fixtures without the need for a controller and other features include an auto-sensing universal power supply and mounting bracket. To save time running cables and extension cords, you can also daisy-chain power for up to 17 fixtures at 120V. This small yet powerful little beast Fits best in the CHS-40 VIP gear bag.